부여 백마강 건너 야산 남쪽 비탈에 있는 백제 가마터이다. 백제 가마 11기와 고려시대의 가마 1기가 조사되었다. 가마는 풍화된 화강암반을 파고 들어가 만든 지하식 가마이며 천장을 제외하고는 완전하게 남아있다. 출토 유물은 연꽃무늬 수막새, 상자형 전돌, 토기, 각종 기와 등이 있다. 연꽃무늬 와당은 군수리와 동남리에서 나온 와당과 비슷해, 이곳에서 기와를 구워 부여의 주요 건물에 공급한 것으로 보인다. 백제(6세기 후반∼7세기전반) 가마터로서 그 모습이 잘 남아 있어 백제 가마 연구에 중요한 유적이다. 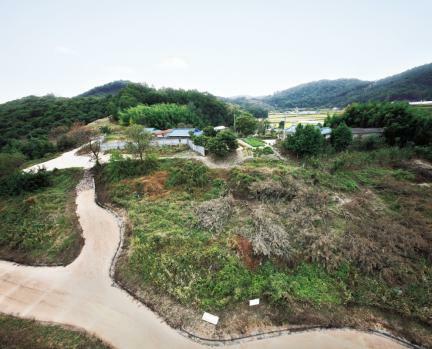 Located at the southern hillside across Baengmagang River near Buyeo-si, this is an ancient kiln site from the age of Baekje Dynasty where 11 kilns from the Baekje Dynasty and one kiln from the Goryeo Dynasty were discovered and investigated. 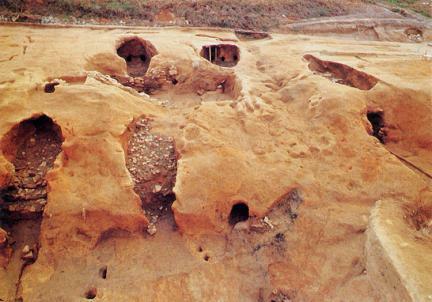 They were cave-type kilns built by digging on the weathered granite layer and were perfectly preserved with the exception of portions of the ceiling. 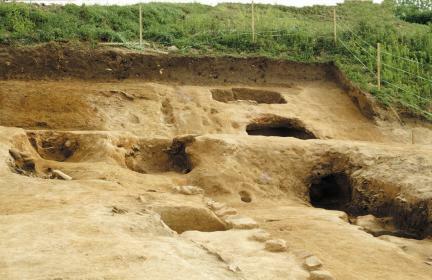 From these excavated kilns, roof-end tiles with lotus design, earthenware, and various other roof tiles were found. 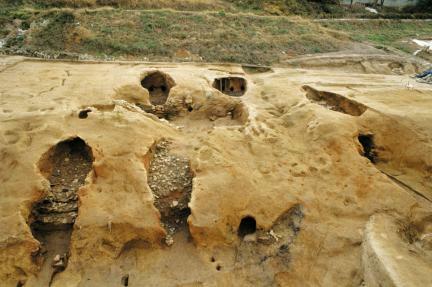 The roof tiles fired here seemed to have been supplied to the major buildings in Buyeo because similar roof-end tiles with lotus design such as the one found here were also unearthed in Gunsu-ri and Dongnam-ri. 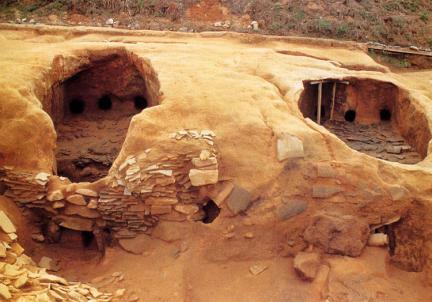 These are very important ruins for studying the old kilns in the age of Baekje Dynasty (latter half of the 6th century through the first half of the 7th century) because they have been well-preserved, keeping their features in perfect condition. Furthermore, it has great historical value, since there are many ruins in the age of Baekje Dynasty including more than 30 old tombs and a fortress nearby.